In his book “The Terror Presidency,” Jack Goldsmith, the former head of the Justice Department’s Office of Legal Counsel, said Wolfowitz was “put in charge of questions regarding detainees” at Guantanamo. Goldsmith also previously worked with Haynes at the Pentagon. However, from the start of the war on terror, the Bush administration employed nontraditional methods for designing interrogation protocols, including the reverse engineering of training given to American troops trapped behind enemy lines, called the SERE techniques. For instance, the controlled-drowning technique of waterboarding was lifted from SERE manuals. Soldz is co-author of a report published in June by the international doctors’ organization Physicians for Human Rights (PHR), which found that high-value detainees who were subjected to brutal torture techniques by the CIA were used as “guinea pigs” to gauge the effectiveness of the various “enhanced interrogation” methods. PHR told Truthout it first examined the Wolfowitz directive and changes Congress made to 10 USC 980, the law that governs how the Defense Department spends federal funds on human experimentation, in 2008 while preparing its report, but did not cite either because the group could not explain its significance. The House Armed Services Committee proposed amending 10 USC 980 prior to the 9/11 attacks. But the Bush administration pressed for the changes after 9/11 as the United States was preparing to invade Afghanistan and new medical products might be needed for soldiers on the battlefield without their consent, said two former officials from the Defense Intelligence Agency. Back in Congress, the concerns from the OMB about loose terminology were brushed aside and the law was amended to give the DoD greater leeway regarding experimentation on human subjects. A paragraph to the law, which had not been changed since it was first enacted in 1972, was added authorizing the defense secretary to waive “informed consent” for human subject research and experimentation. It was included in the 2002 Defense Authorization Act passed by Congress in December 2001. 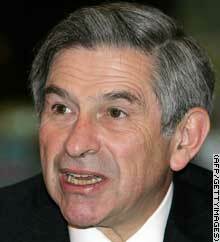 The Wolfowitz directive implemented the legislative changes Congress made to 10 USC 980 when it was issued three months later. The changes to the “informed consent” section of the law were in direct contradiction to presidential and DoD memoranda issued in the 1990s that prohibited such waivers related to classified research. A memo signed in 1999 by Secretary of Defense William Cohen called for the prohibitions on “informed consent” waivers to be added to the Common Rule regulations covering DoD research, but DoD never implemented it. Gitanjali S. Gutierrez, an attorney with the Center for Constitutional Rights who represents al-Qahtani, had said in a sworn declaration that her client, was subjected to months of torture based on verbal and written authorizations from Rumsfeld. DoD refused to respond to questions regarding the 2004 review. Maj. Gen. Ronald Sega, who at the time was the DDR&E, did not return calls for comment.